Editor's note: This article has been updated to reflect sitting BJP MP Kirit Somaiya being denied a ticket from Mumbai North East by the party, in favour of Manoj Kotak. 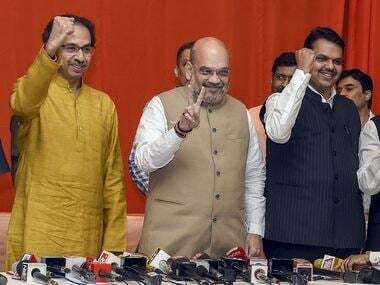 When after four years of discord, the Shiv Sena and BJP announced that their alliance will live through another Lok Sabha election, the leaders of both parties perhaps hoped that the memories of bitter spats would melt away. But that seems little more than wishful thinking, when things on the ground are examined. Reports indicate that underneath the superficial bonhomie of the Sena-BJP top brass, the party's respective cadres share deep mistrust with one another on the ground. Candidates from both parties are facing a tough time getting their allies' loyalists to vote for them as the party workers have not yet overcome the trust deficit that widened over the past four years of a barely held-together alliance government. Shiv Sena sources told The Citizen, "This time, we will not be able to shift our voters to the BJP that is seeking votes in the name of Prime Minister Narendra Modi." The report quoted sources to suggest that BJP state unit chief Raosaheb Danve Patil, who will be contesting from the Jalna seat, virtually has to beg Shiv Sena workers to support him. He has been holding marathon meetings with local Sena functionaries and recently held a three-hour meeting with Shiv Sena workers at the residence of Sena minister Arjun Khotkar in Jalna to convince them to let bygones be bygones. Meanwhile, sitting MP and a popular BJP face in Mumbai, Kirit Somaiya has been denied a ticket in the upcoming polls. The Shiv Sena had openly announced its opposition to BJP's sitting Mumbai North East MP Somaiya. And the BJP, walking a tightrope between Sena's "unreasonable" demand and quelling dissatisfaction within the Mumbai rank and file, has made its decision. Not only had the Sena cadre refused to campaign for Somaiya, but Sena MLA from Vikhroli, Sunil Raut, has also threatened to contest as an Independent if Somaiya is fielded from the seat again. Somaiya, who has represented the Mumbai North constituency twice, meanwhile is paying the price for staunchly defending his party against Sena's searing, unrestrained criticism over the past few years. Even now when the tables have turned, Sena chief Uddhav Thackeray has made it clear that he will not make amends with Somaiya. As it stands, he will be the only BJP parliamentarian in Mumbai not to be named as a candidate yet for this month's election despite his popularity and high visibility in his constituency. The BJP leadership may now find it hard to quell disenchantment within the city cadre. The Hindu spoke to local BJP leaders who admitted on condition of anonymity that the central leadership may be giving too much leeway to the Sena. "The party chief (Amit Shah) has single-mindedly worked to ensure the maximum number of MPs are elected to Parliament in Maharashtra from the BJP-Shiv Sena alliance. Shah was keen to ensure Modi is re-elected as prime minister and has allowed alliance partners to make unreasonable demands. Chief Minister Devendra Fadnavis is also weakened and has swallowed a bitter pill. Even our self-respect has been undermined by Sena workers, who have been ill-treating their BJP counterparts at the ground level," the leader said. The levels of mistrust among workers are such that some people suggest Sena's onslaught against a strong candidate like Somaiya is actually conspiracy to ensure BJP has a weaker tally than Sena. Moreover, there is talk that the hardliners within both parties have identified rival candidates belonging to the alliance partner to silently work against them. The BJP top-brass' directive to rein in criticism of Sena, doesn't seem to have erased the latter's tirade that exists in print, and BJP cadre seems to be simmering. The BJP cadre has not forgotten scathing criticisms of their party and Modi in Sena mouthpiece Saamna. 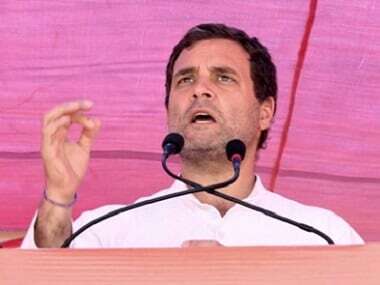 From calling the prime minister Mauni Baba (silent hermit) to singing the Congress tune on the Rafale deal to actually praising Congress president Rahul Gandhi, Sena has always taken a no-holds-barred approach against the BJP while the latter has mostly shown restraint in is attacks. Even after the alliance, BJP appears humbled despite being the larger partner in 2014 Lok Sabha seat share and in the government in Maharashtra; Uddhav has maintained a touch of brusqueness in his speech. 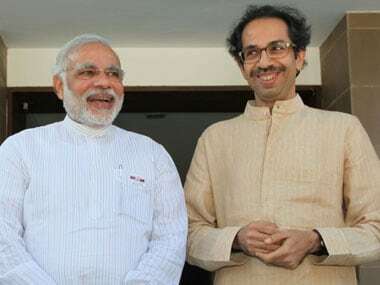 Just a day before he was seen campaigning for the BJP president Shah in Gandhinagar, Thackeray not only brushed aside the chowkidar tag, but also distanced himself from BJP's Congress-mukt agenda. 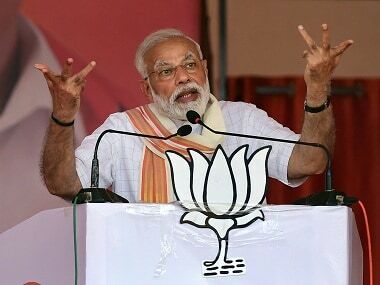 On Monday, he said, "I am not chowkidar. I was born a Shiv Sainik, so I am a sainik." He also said that he does not work for a Congress-mukt Bharat agenda. While taking questions on the BJP-Sena reunion, he again made it a point to highlight that it was Shah who came to him "twice" to iron out differences. "...You ask me why did we agree to an alliance again. The whole world is a witness. BJP president Shah came to me not once, but twice. And when the alliance was charted out, we put forth the problems of people. 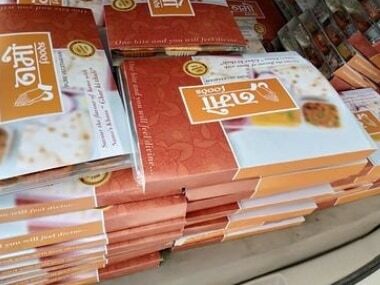 Even the chief minister was present when all this happened," Thackeray said. Asked if he stood by his earlier statement that the Sena rotted in 25 years of alliance with the BJP, Thackeray said his father extensively travelled across Maharashtra to spread his party. "However, we became inattentive after the alliance (with BJP). This carelessness is no more there. Spreading of one's ideology is not a crime," he said. "Should I keep the Sena limited to the seats which we received as part of the alliance formula? Should we not take our party to other places as well? Because Sena is not a party but an ideology," the 58-year-old leader said. He also claimed that the Sena reconsidered its decision to fight Lok Sabha poll separately after BJP showed inclination to "rectify" things that caused those differences. He also said that he joined hands with the BJP because of the saffron party's changed way of dealing with its allies. "I experienced the change in the way they treat people, hence I decided to join hands with the BJP," Thackeray said in February right after announcing the renewal of the alliance. He also indicated that he may have allowed the BJP a couple more seats in Lok Sabha but Sena was in no mood to leave the chief minister's seat in Maharashtra. Uddhav said that the BJP's proposal that chief minister will be from the party which will send more MLAs to the Assembly was not acceptable to the Sena. "I want to see a Sena chief minister and I will work for it," he said. "I have already won in the treaty, now we should win the real battle of election," Thackeray said. In his interview to Saamana, the Sena chief said he does not "regret" taking on the BJP while being in power with the national party. "We will not betray you, you shouldn’t betray us," he said was the mantra for the alliance between the two parties. The Sena cannot be unaware of the rising power of the BJP in Maharashtra and it could be political suicide for the regional party that harps on the Maratha narrative and Hindutva, if it contributes too much to the national party's growth.